Doesn't your master suite deserve the best pillow to cradle your head and neck into blissful sleep each night. Silky to the touch, these pillows offer uncompromising support night after night, and easily withstand home washing and drying. This pillow features PrimaLoft, our best down alternative for bed pillows, especially designed to be the perfect medium density. It is constructed with hypoallergenic fillings and fabrics for your comfort. My polyester fill pillows had aged. A shredded memory foam replacement caused terrible respiratory reactions from the polyurethane. Allergic to both feathers and wool, I turned to Overstock for some down alternatives. I purchased two different brands of standard size pillows. They are both well made and are very nice pillows. 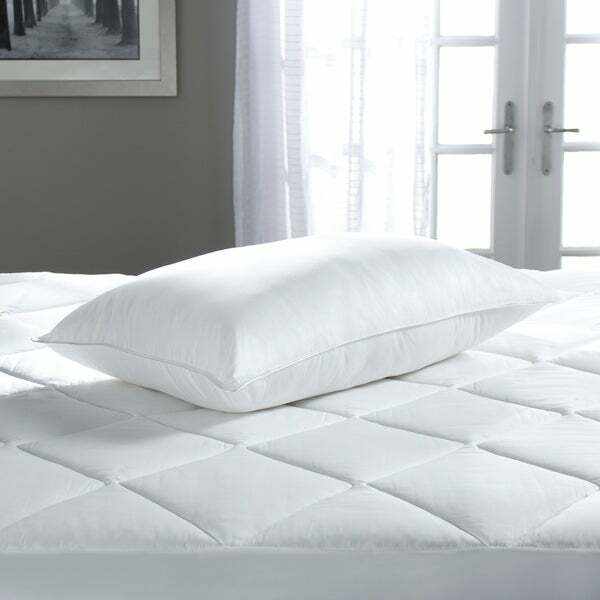 This review is for the Downlite Luxury Primaloft down alternative, *** If I was using the pillows primarily for shams, the springier, higher loft Downlite would be a great choice. Also, it's loft makes side sleeping easier on the shoulders. It would also be preferred when reading in bed or any time you want your head raised a bit more. However, for just pure comfort under your head, I preferred the *** pillow. It seemed to feel more like a real down pillow to me. I'm going to end up buying one more of each - so I will have a set of two for both of them. As stated....A quality pillow that works just fine....Better than most. If you're looking for a high end quality pillow, unfortunately you have to dish out more money. I think this pillow is fairly priced for what you get. this pillow is supposed to be medium firm but I think it more on the soft side then firm. I like my pillows medium firm but I don't think this one is a truly medium firm pillow. I give it a 4 star because it's not too shabby and still works well. This pillow is so comfortable,with the right amount of support when you lay on your side or your back to sleep. It is holding up it's shape. the outer layer is soft enough, but not so important as a pillow cover and case are used. Will this pillow lose it's shape once you wash it? I am a side sleeper, how good is this pillow for a sleeper like myself?